If you have central air conditioning, you probably don’t think about it a lot, even if you’re grateful to have it when the temperatures soar. It’s probably only when the AC breaks down, and you’re left sweltering and desperate to cool off, that you give it a second thought. Unfortunately, if this sounds familiar, you aren’t alone. One of the leading causes of central AC failures is a lack of maintenance. Failing to keep coils clean, change the filters, keep condensation lines clear of plugs and other basic maintenance tasks can lead to expensive repairs, or even worse, the need to replace your central air system. And given that a new AC unit can cost anywhere from $3,500 to $7,000 to replace, it’s well worth putting these tasks on your to-do list or hiring a Miami HVAC contractor to take care of the maintenance for you. The need to keep your home at a comfortable temperature and the high cost of new AC units aren’t the only reasons that maintenance should be a priority. Staying on top of these important tasks has a few other benefits as well. Even when you invest in the most energy efficient air conditioner, failing to take care of it will ultimately result in a reduction in performance. The harder that the unit has to work to keep your home cool, the more energy it’s going to use — and the higher your electric bills. For example, failing to replace the unit’s air filters means that dirt and dust can get into the unit’s evaporators, reducing the ability for it to absorb heat from the air. Ultimately, your unit may run up to 15 percent less efficiently than it would if the filters were clean. Most homeowners don’t realize that there is a problem with their AC unit until it’s too late, and they have to invest in significant repairs. With regular maintenance, though, you can identify potential issues before they become a major repair bill. 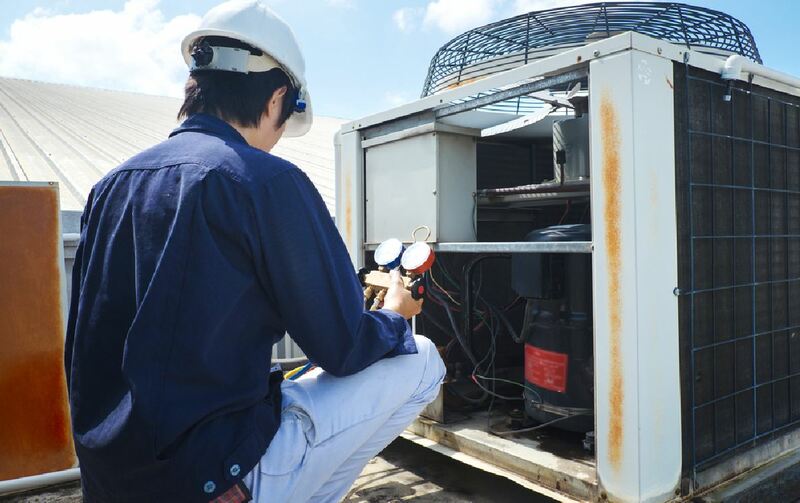 By inspecting the coils, fan motor and blades, control box, refrigerant levels and other parts of the unit, you can ensure that there aren’t any disasters waiting to happen, and if there are, fix them beforehand. 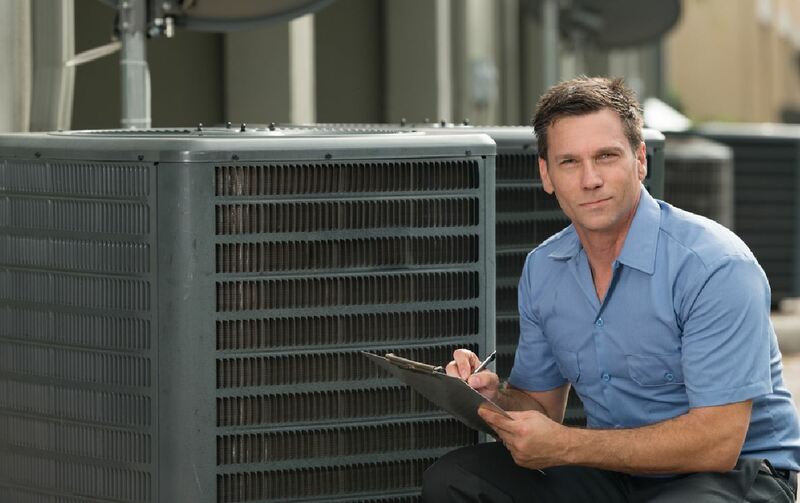 Although homeowners can handle some air conditioning maintenance tasks on their own, including changing air filters, cleaning the outdoor condenser unit to remove dust, pollen, and other debris, and removing foliage and other hazards from around the condenser, it’s also important to arrange for annual professional inspection and maintenance. Certain tasks, such as adding refrigerant, should be handled by professionals as they involve potentially dangerous substances. It’s illegal to release refrigerant into the atmosphere, and a trained professional can capture any that needs to be removed from the unit safely. A professional HVAC technician is also prepared to handle electrical issues that shouldn’t be tackled by the average homeowner. A pro will inspect, clean and tighten electrical connections as needed and make sure that all the electrical controls are operating in the correct sequence. They will also replace fuses as needed, ensuring that they don’t fail when you need them the most. Finally, professional maintenance involves ensuring that all belts and hoses are in good shape and don’t need to be replaced, lubricating parts when necessary and adjusting the unit to ensure it operates as efficiently as possible. In addition, it’s important to have your air conditioning ducts inspected every 3 to 5 years to clean out any accumulated dust and debris and make sure there aren’t any leaks or other issues hindering your unit’s efficiency. With proper maintenance, you can expect your central air conditioner to run efficiently and without major problems for 10 years or longer. If despite maintaining the unit as recommended, you find that your energy bills keep going up and you need to keep paying for repairs, it may be time to replace your air conditioner entirely. Newer models are more energy efficient than those sold even just a decade ago and can use as much as 30 percent less energy. Talk with your HVAC professional about your options and whether it’s time for a replacement. Then, stay diligent with maintenance to keep any unit running well for years.